A rise in serverless companies with 1000+ employees. In 2009, the market will start to hear about more and more companies going completely server-less. While this is already happening at smaller companies, larger and larger companies will optimize their business processes and cut IT expenses by outsourcing to cloud providers. In the upcoming year more and more companies will have a focus on reducing costs because of the economical breakdown in 2008. The first enterprises that will turn to cloud computing platforms as their primary provider of IT infrastructure will be the IT companies. Why wouldn’t they go for cloud computing when it offers savings on the costs of IT infrastructure and personnel required to maintain that infrastructure. If you look at the prices offered by the big 4 in cloud computing are setting for the use of their infrastructure you will see massive savings. Enough said is that Flickr host all of its photos on the Amazon S3 storage infrastructure to show the capabilities of cloud computing platforms. All that for just a fraction of the costs of owning, running and maintaining company owned servers or datacenters. Is it all that great like it is presented? Well not so when you dig a little bit under the surface. What is the problem then? The problem is with the data and applications that you put in the cloud, there are issues with security, ownership and access to the data. In the security I don’t mean if your data is secure from the outside rather from the inside from the company which is providing the infrastructure. You must be aware that personnel from the cloud provider company have access to your data stored in the cloud. Therefore you should make sure that data is encrypted when stored in the cloud. The problem with data in the cloud can be summed up in this excerpt from the Amazon web service Customer Agreement. 3.7.3. In the Event of Other Suspension or Termination. Except as provided in Sections 3.7.1 and 3.7.2 above, we shall have no obligation to continue to store your data during any period of suspension or termination or to permit you to retrieve the same. Now what this means is that in the case of contract suspension or termination Amazon has no obligation to keep or provide you access to your own data, which basically translates to you depending on the good will of people working at Amazon to give you access to your data. What happens if your cloud storage provider goes out of business, what happens to your data? I am one of those that is willing to sacrifice a bit of ergonomics and everything else listed for more stylish and cool look and feel of my desktop space, on second thought anything of mine related with computers. I believe that a good workspace environment has to be appealing to the eye, since you will be looking at that desktop setup, and your desk space for the entire time you work at your desk. So to lessen the distraction and remove any unnecessary clutter from your desk, you should always design your workspace to find it more appealing to you. My logic is this, if you buy a super cool gadget and put it on your desk, you will want it to be visible to anyone that comes in to the area (like duh :)) so you will clean your desk more regularly, and so on. I read a nice article about how to design your own workspace, something like general guide lines to help you with some pointers what to watch out for. 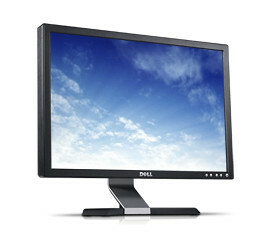 I like this dell monitor for its stylish looks and the nice “Dell” logo on the bottom, haven’t yet read any reviews but knowing Dell I have no reason to doubt it’s quality. I have many stuff at home that are HP made, like my laptop (and laptop gear), printers, web cam, IPaq and so on, all of them are very well made, and are easy to operate. 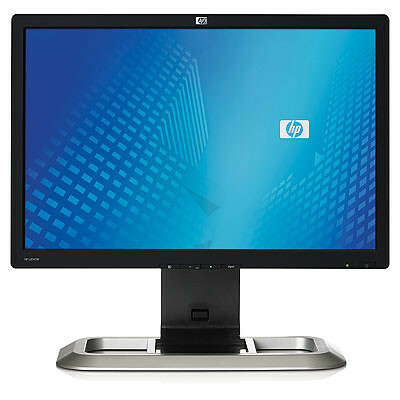 By all this you can figure out that I like my HP devices very much :), so I see no reason why this monitor would be of bad quality. 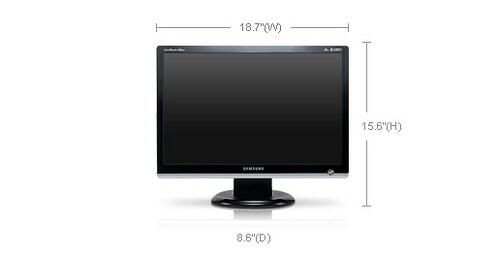 Samsung monitors have always been high quality monitors, but have never been very stylish, but these new wide screen monitors, look very sharp and sleek. Of course to connect everything to my laptop I need some sort of a external graphic card since on my dock I can only attach one extra monitor. 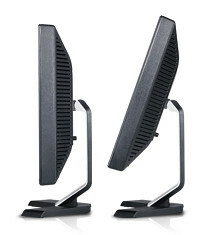 The choice here unlike with the monitors is very simple, the Matrox DualHead 2 Go Digital is the one I’m looking at. As far as I can figure it is simple to connect and use, and that is all that I want form it. 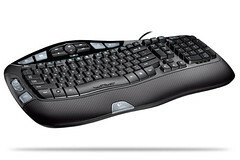 No desktop is complete without a perfect and ergonomic keyboard and mouse. 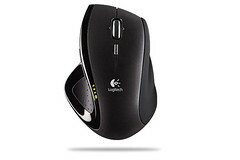 Here I always prefer Logitech products, they are easy to use, mostly ergonomically designed and Logitech support is the best I used ever. 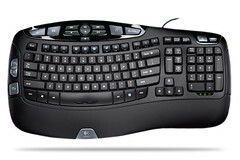 Stylish, ergonomic, new design, sets of extra key to setup, what could you ask more. 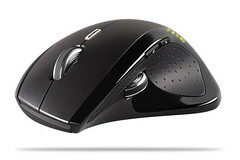 The best mouse ever, I currently use the MX 1000 mouse and I extremely happy with it, carrying it around with me all the time. The only thing about the mouse is that I would prefer the bluetooth version of the mouse rather the RF version, so I don’t have to have any extra receivers plugged into my laptop. That would mean that I can charge it at home, and carry it around with me, with out the need for the base station which is quite large, and oddly shaped so it does not fit into my laptop bag seamlessly.